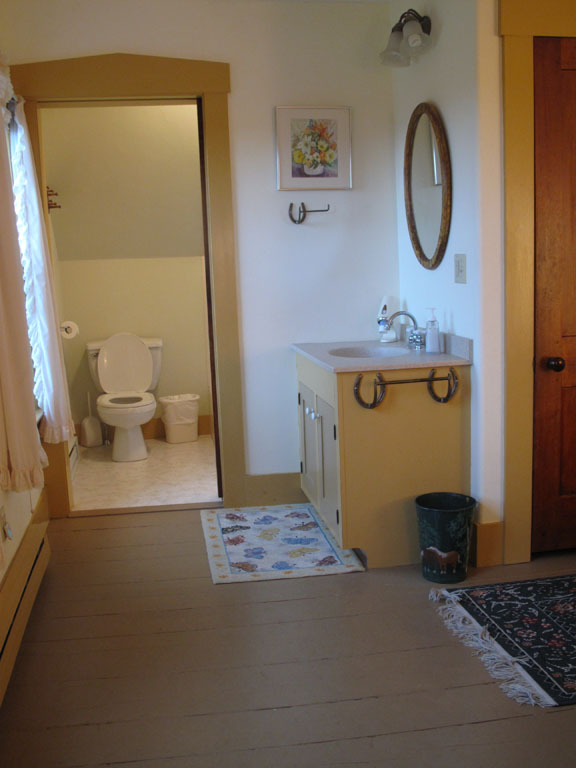 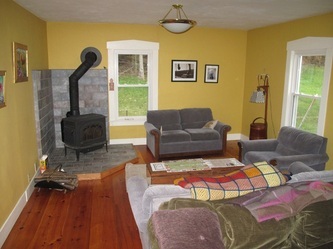 Our cozy farmhouse has a large kitchen and pantry, laundry room, dining room, comfy living room with woodstove, TV and DVD, free WiFi, and three bedrooms all with private baths. 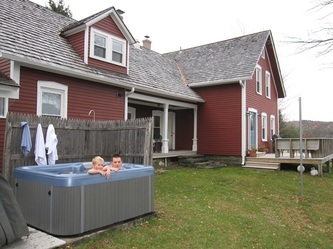 The outdoor hot tub faces majestic views into Vermont. 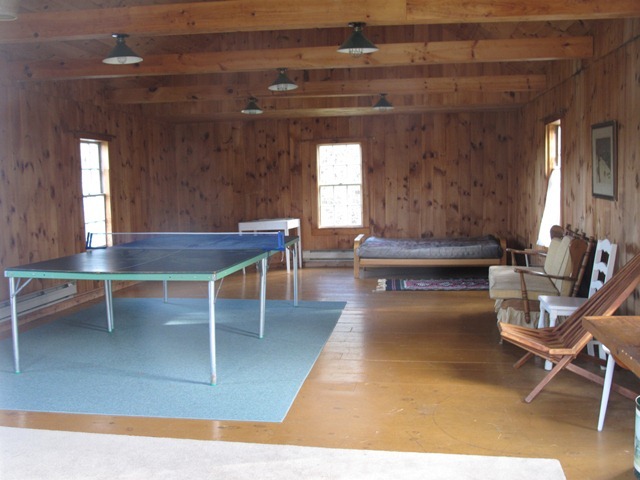 Our rec room has a ping-pong table, puzzles, and games. 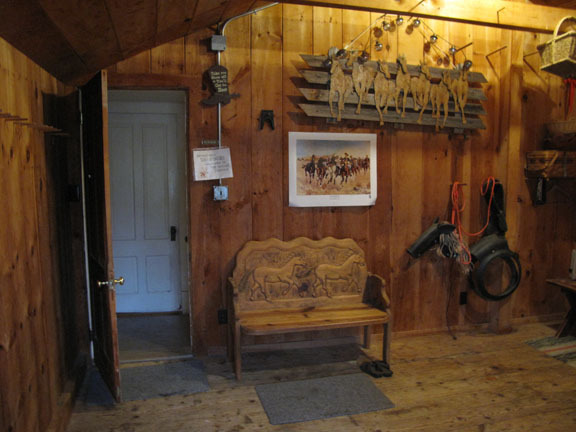 A large mudroom off the kitchen stores your tack and sporting gear. All the comforts of home...without the hassles! 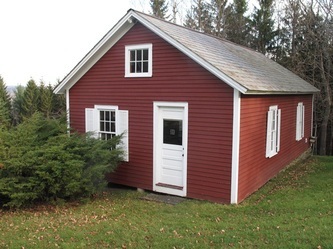 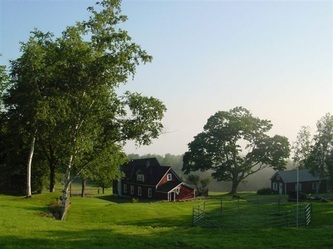 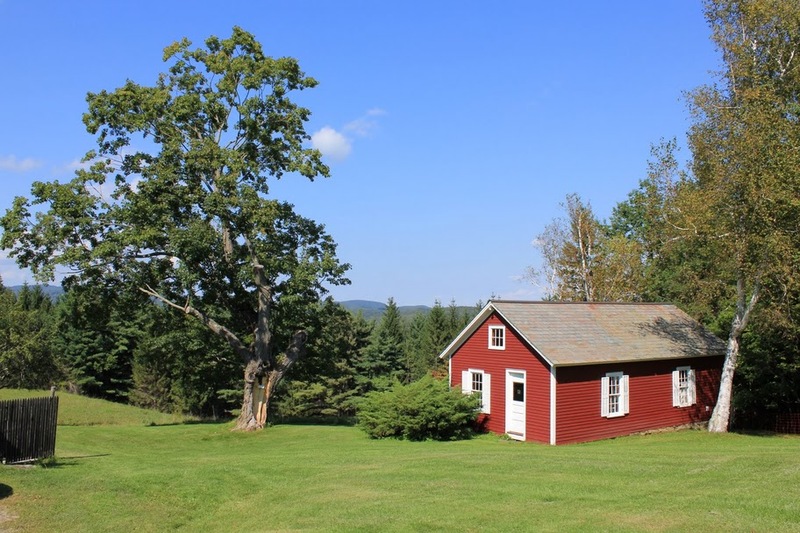 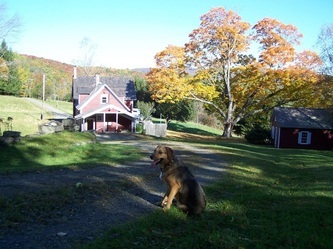 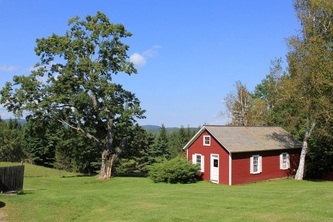 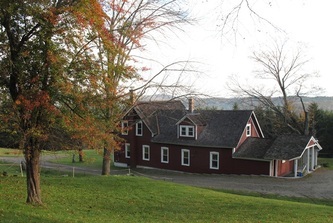 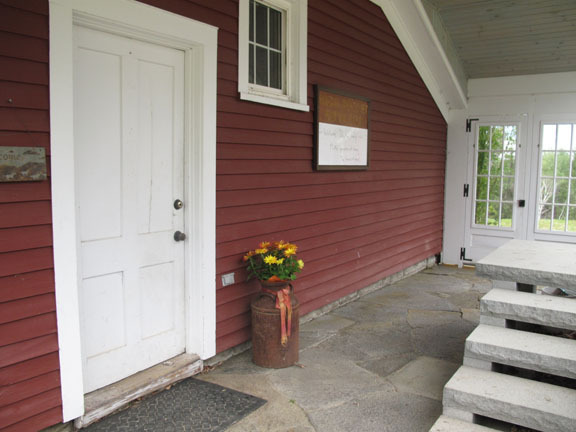 Recently renovated, 170-year-old farmhouse on 545 acres. 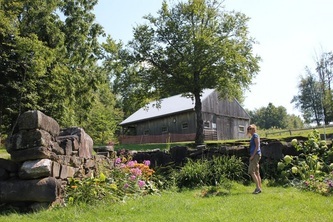 Old barn foundation and rock wall summer garden with barn. 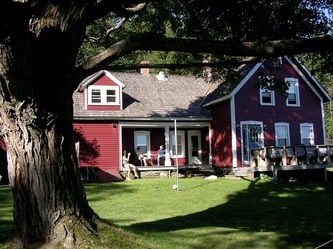 The back side of the house features a perfect sunny nook for brunch, a large deck for gatherings, and a hot tub. 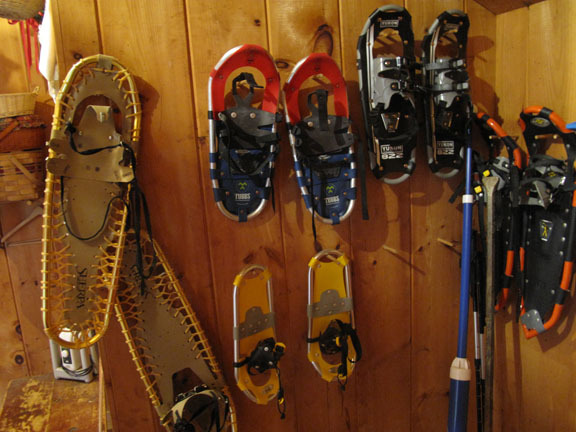 Main entrance leads to mud room where boots, tack, and sporting gear are stored...insert foot, have fun! 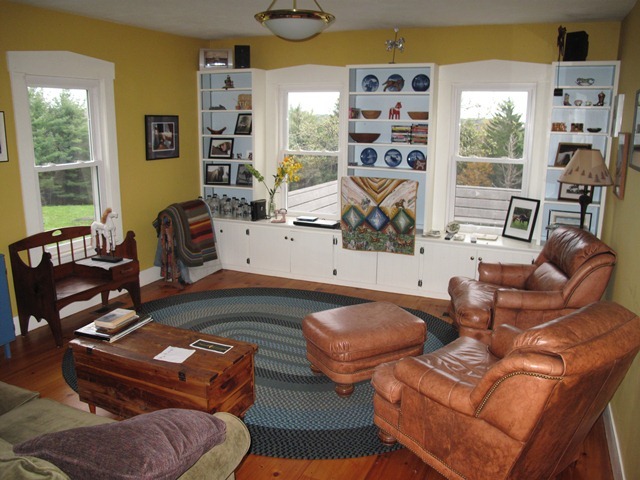 The cozy living room features a woodstove, TV with DVD, books, and games. The dining room seats 8 people. 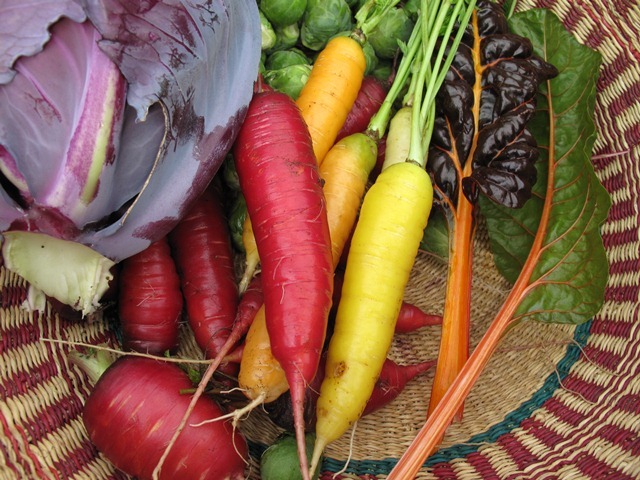 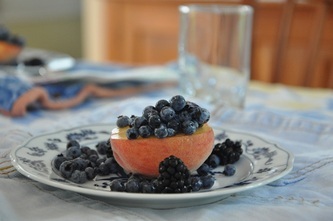 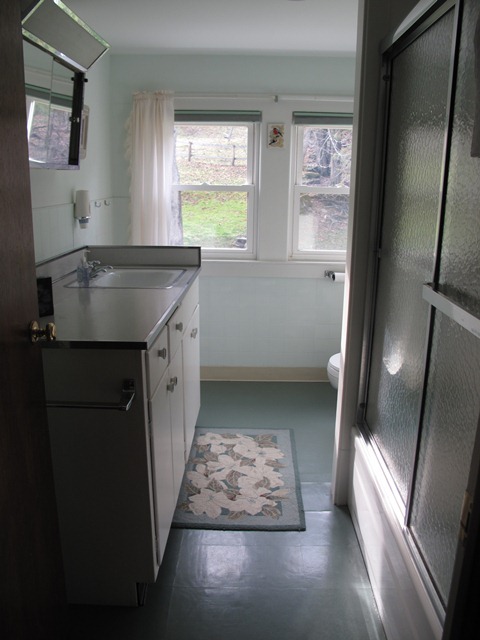 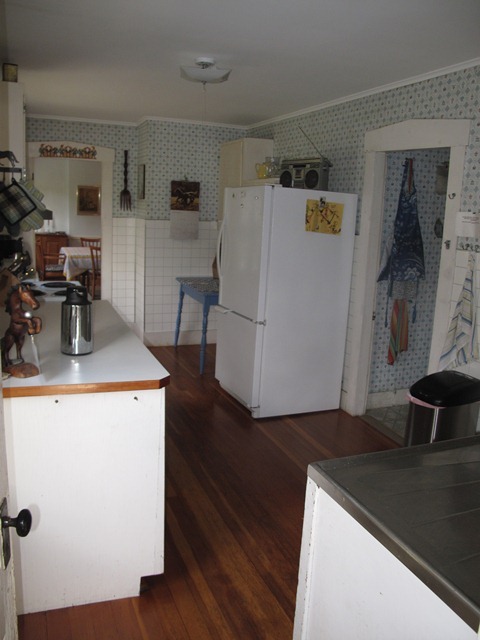 The fully-equipped kitchen is yours to use as you wish...a great way to sample the bountiful local/organic produce! 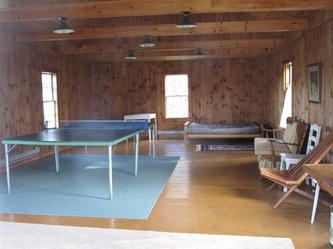 Our rec room with ping-pong table is available for three-season use. 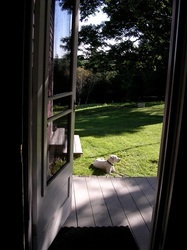 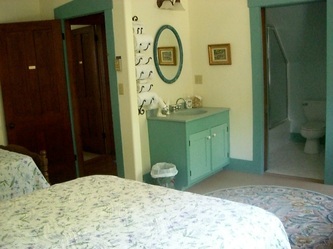 Chester is the largest room in the house (maximum capacity of 3 people). 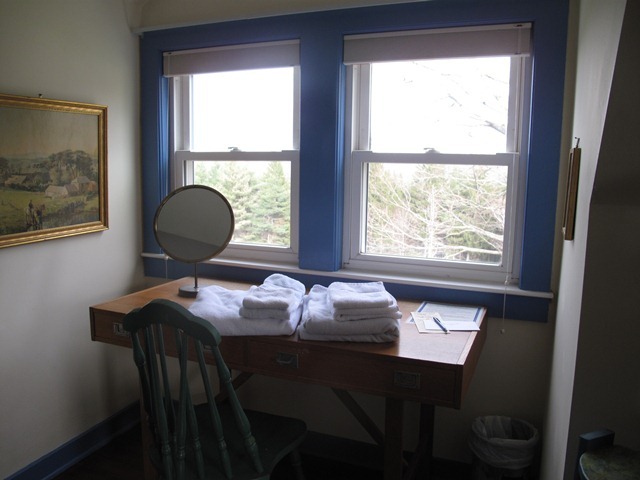 It features a queen-size bed and a single bed, a writer's nook, a full bath, and beautiful views in three directions. 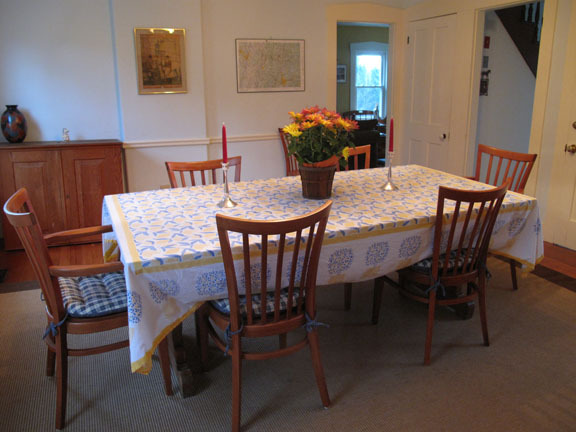 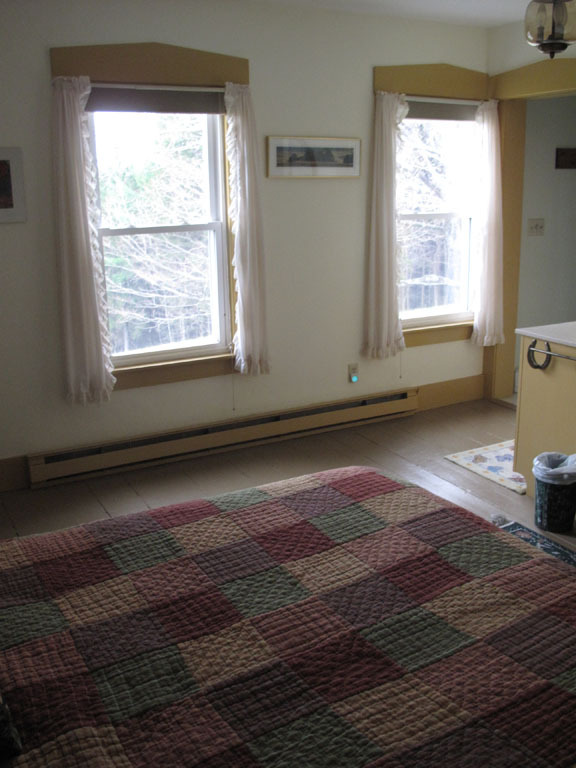 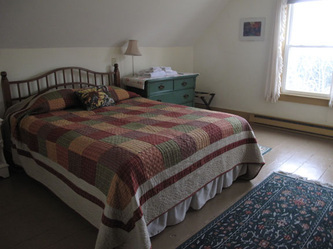 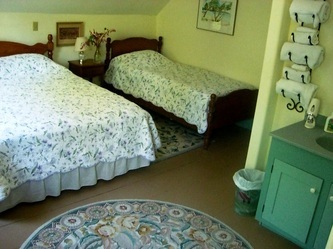 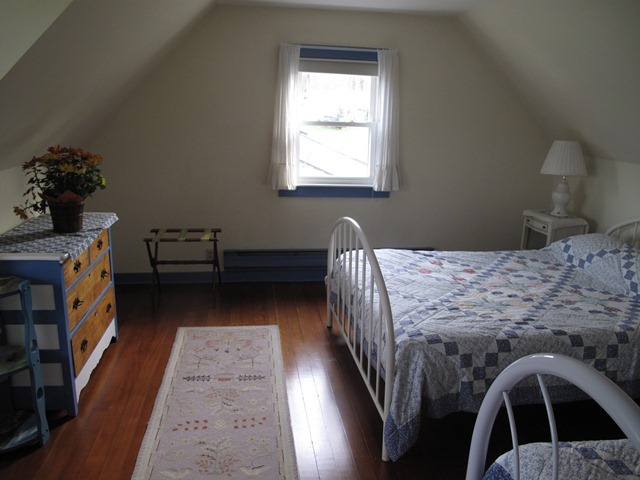 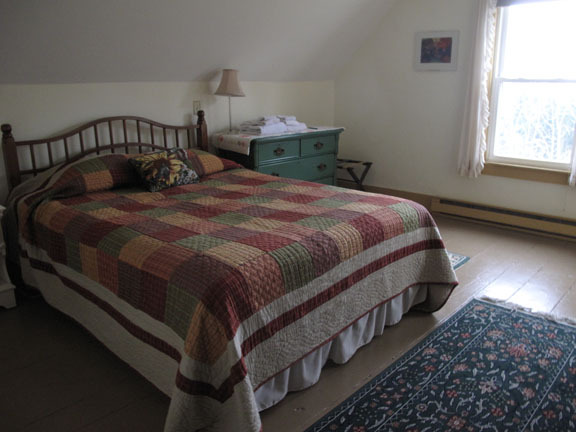 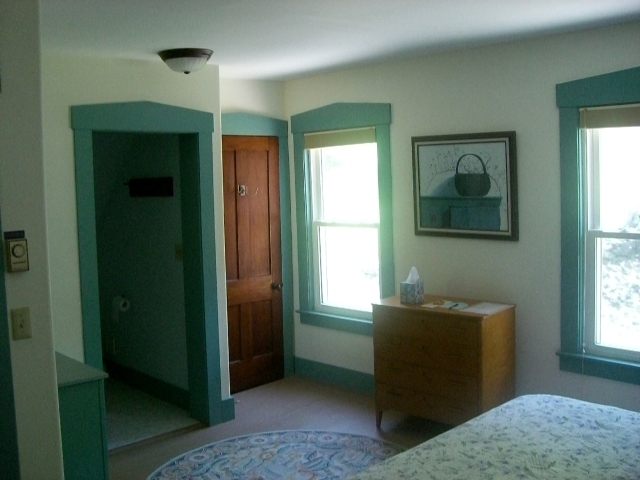 Ellis features a queen-size bed, a gorgeous northerly view into Vermont, and a private bathroom. Greenwood features a queen-size and single bed, a view of the goat pasture, and a private bathroom. 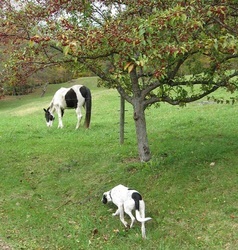 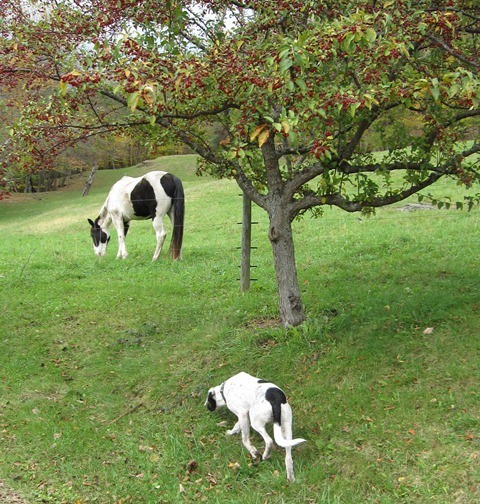 In a recent survey, High Pocket was voted the #1 Hangout in Western Massachusetts by our canine patrons!